An explosion that disrupts the quiet of the mid morning has everyone coming out of their offices, heading straight towards the conference room. A terrible scene awaits them, with piles of gray dust on the floor, the remains of Sanguines, and the murder of six humans. Even those who don’t like Sanguines are bothered by the gray dust. Cassandra Loudermilk is one of the lead investigators in the Militia’s head office in Bethesda, Maryland, and this could have been an ordinary kind of day for her, except that she has just discovered the identity of those who have been killed in the explosion and this becomes something personal. She is about to risk everything just to find the one Sanguine who knows exactly what happened. Unraveled by Melissa R. Smith will surprise readers with its entertainment potential and the allure of the plot. Melissa R. Smith had me seduced right off the bat with the beauty of her prose, the powerful descriptions that evoke images in the reader’s imagination. The story also begins in the midst of action and it doesn’t slow down a bit, with a conflict that quickly escalates into a crisis, leaving the reader compelled to follow the story to its satisfying denouement. Unraveled by Melissa R. Smith features strong and memorable characters, great political themes, and a plot that is built to excite the reader’s pulse and keep them reading nonstop. I enjoyed every bit of this story, from each exciting page to the next hypnotic scene. Well-crafted, gripping, and utterly entertaining, you can’t put it down easily. Cassie Loudermilk is one of the youngest agents to attain Level IV clearance in the Militia, the prominent anti-Sanguine organization, because of her brilliant undercover work in Scotland for nearly a year in Unraveled by Melissa R. Smith. Ending the assignment wasn’t easy, though, because Cassie had fallen for Derick Upton, the charismatic leader of the Sanguine establishment in Edinburgh, Scotland. Getting home and making sure there was no glow to give her feelings away to her loving grandfather or co-workers, Cassie is happy to return to work and see her friends. That is, of course, until an undercover plot to destroy the Sanguine leadership results in the death of many top Sanguine officials from around the world – including Derick. As the investigation into the explosion builds, the truths Cassie has held onto firmly begin to unravel as a friend is murdered and certain superiors are anxious to destroy her career. With the discovery of Derick’s survival, Cassie has the resources she needs to get to the bottom of the mystery, but the ultimate question is where her loyalties lie. Will her love for Derick prevent her from doing her job, or will her happiness become another sacrifice to the Militia cause? Melissa R. Smith has written a gripping paranormal romance that offers plenty of intrigue, mystery, love and heartbreak. The concepts of changes in the leadership of the Militia, the Worldwide Coalition of Elders, and a Universal Sanguine Registry are unique and build hope that the Sanguines may one day become accepted by the wider population. True emotions bring the main characters wonderfully alive and the action keeps the story moving at the perfect pace with some amazing surprises. Unraveled is certainly a book that can be enjoyed by anyone that appreciates subtlety and the feeling of a deep, abiding love and the hope for a more tolerant future. Fabulous story! I loved the surprises built in throughout the entire plot. Unraveled by Melissa R. Smith is a spellbinding paranormal romance with interesting elements of a thriller, a quick read featuring sensational characters and a gripping plot. At the Militia’s head office in Bethesda, Maryland, there has been a mass execution of Sanguines, a horrible act which leaves many disgusted and unhappy. It could have been just another day of routine investigative work for one of Militia’s lead investigators, Cassandra Loudermilk, but then she learns about those who actually got killed and everything changes. There are bad eggs within her organization and she will stop at nothing to unveil their faces and bring them to justice. Thus begins a hunt that will put her life and career at great risk, unearthing memories that might better have been kept hidden. Is she ready to face what awaits her? Melissa R. Smith displays great skills in plot and character creation and readers will love the way the surprises come across in the story. She writes with confidence and in a friendly style that makes the story accessible to a wide audience. The same confidence is present in her narrative voice and in the originality of the plot concept. I love prose that is tight and that has great descriptive power, and I found it in Unraveled. I was gripped from the very beginning of the story and couldn’t stop reading till the last page, thanks to the well-imagined plot, the strong characters, and the exciting conflict. This is a beautiful offering for readers looking for entertainment in well-crafted stories that make them forget about their immediate environment, transporting them to another world with compelling characters. Unraveled by Melissa R. Smith is a captivating paranormal romance. Militia investigator Cassandra Loudermilk is overwhelmed when she discovers a group of Elder Sanguines killed at her head office. The Sanguines were vampires who wanted to live peacefully among humans, but were rejected by most they came into contact with. Among the dead was Derick Upton, a mesmeric Sanguine with whom Cassandra had secretly bonded. She risks her life to find the killers and encounters obstacles from her colleagues. Cassandra receives a gift that convinces her that Derick is alive, and she searches for him. But she doesn’t know there is an enraged, bloodthirsty Sanguine that believes Cassandra is a traitor and can’t wait to bite her neck in retribution. 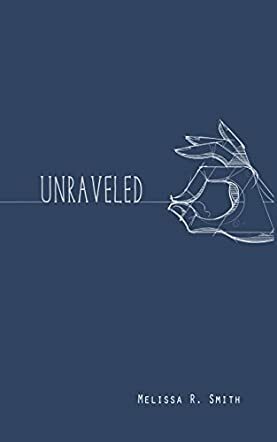 “Revenge is a dish best served cold, and blood is thicker than water”: these are painful lessons Cassandra learns in Unraveled by Melissa R. Smith. The story is an intriguing, emotional, non-stop thriller that finds the heroine, Cassandra, struggling with mixed feelings as she attempts to do her job while fighting her attraction for a Sanguine. I really enjoyed reading this paranormal romance and found Derick Upton’s character charming and entrancing. Unraveled is much more than your typical love story. It is also a wonderful whodunit that sees Cassandra trying to put the clues together as she investigates a tough case. The author has written a story that is so well developed, creative and contemplative. She highlighted the pros and cons of Sanguine and human relationships, particularly Cassandra’s. Unraveled is worth reading. Cassandra had no idea what she was in for when she volunteered for a mission to spy on one of the most well-known Sanguines in the world, but now just what she got herself mixed up in is starting to all sink in. When an attack takes place right in her own backyard and there doesn’t seem to be a clear suspect, she’s in for the shock of her life when Derick Upton is listed among the dead. But there’s a lot more going on than she could have imagined, especially when she realizes that things are not at all what they may have seemed. Her calm little life is going to change dramatically when she finds out that the connection she thought was severed is now stronger than ever, and the one she never knew existed … well, it’s definitely out to get her. But will Cassie be able to survive her connection to Derick or the connection that someone out there seems to have with her? It’s not going to be easy in Unraveled by Melissa R. Smith. This is a well written book of romance with plenty of adventure thrown in there to keep you turning page after page. Cassie isn’t looking for romance at all, but at the same time she doesn’t really know how to stop herself from being pulled into one. Where she is the classic workaholic, determined to continue on her path through the Militia, Derick is a leader in his community and not one to be trifled with. Of course, this story isn’t just about them, but about the Militia, the Sanguines and a love triangle that none of them even knew existed in Unraveled by Melissa R. Smith.